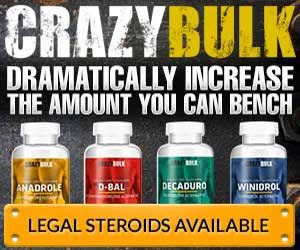 Crazy Bulk Reviews: Yes, Carbs Are A Must For Muscle Building! It’s amazing to me how prevalent “bandwagon jumping” is in the bodybuilding / fitness / health industry. Right now, carbs have been vilified by the different industries, and as soon as one so-called “guru” or “nutritional expert” says that something is “bad” everyone and their mama jumps on that bandwagon and simply regurgitates the same thing without having placed any real thought or observation into it. The big thing now is to view carbs as being the reason why most Americans are grossly overweight, or why those of us wanting to gain weight and build muscle while maintaining definition seems to be almost impossible. Funny how about 10 to 15 years ago no one blamed carbs for any of their physical shortcomings or lack of goal achievements. But because everyone is “jumping off the bridge”, they’re going to do the same. Let me just start off by stating that there are no “bad” carbs for intensely training individuals.....especially if you are a naturally skinny individual desperately trying to build muscle mass and gain weight fast. Thomas Nesser from Indiana State University discussed dietary strategies for athletes that maximize performance, recovery and metabolic health. Carbohydrates are the most important fuel during exercise, especially intense weight training routines. They are also critical during recovery for restoring glycogen, also known as stored carbohydrates, levels in the liver and muscle mass. Funny how many preach that carbs are dangerous foods that promote fat gain and muscle definition-blurring. However, the brain depends on carbs for fuel. Researchers from the Harvard School of Public Health, in a review of literature, concluded that while carbs provide energy and can contribute to excess caloric intake, little evidence exists that the proportion of carbs in the diet influences energy intake or promotes putting on body fat. So, again, the blame is being placed in the wrong direction. It isn’t carbs per say that blurring out any possible muscle definition or negatively affecting muscle building or weight gain, it’s the over eating of calories, whether it be from protein, carbs, or fats.